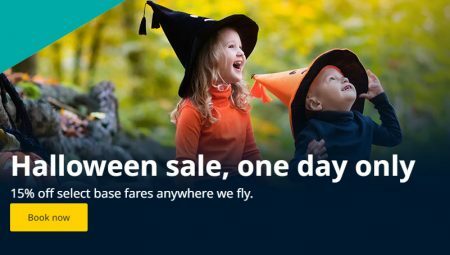 WestJet is having a Halloween Seat Sale. One-day only, save 15% off Basic and Econo base fares anywhere WestJet fly when you enter discount code 2V6W3OL at checkout. Hurry, book now for this scary good deal. Offer destinations: This offer is valid on Basic and Econo base fares anywhere WestJet flies.